Good morning world! I decided that my goal for July would be to work on my nail art- and I decided to get started early! 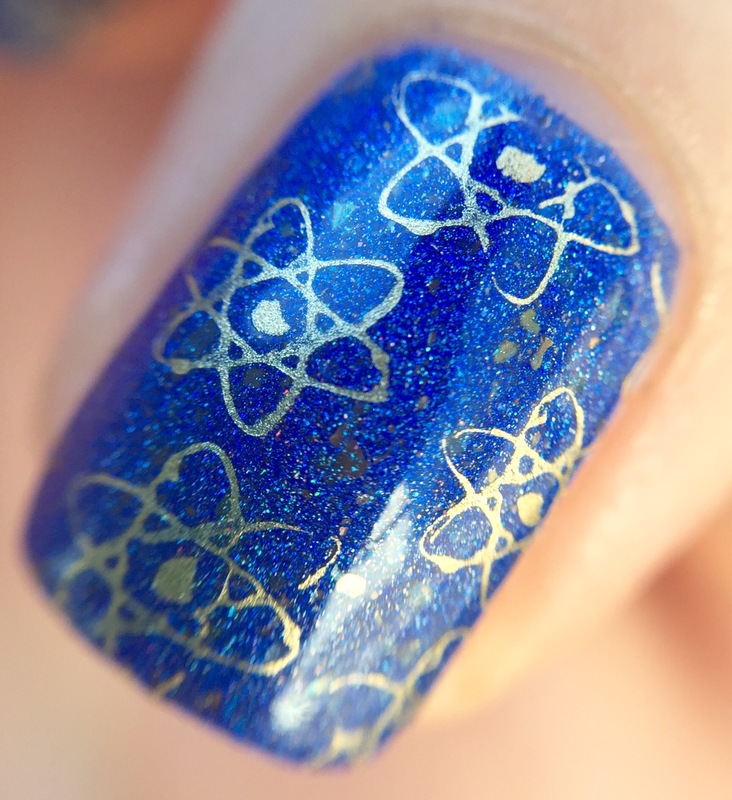 Thus, today I have a stamped atomic pattern to share with you! 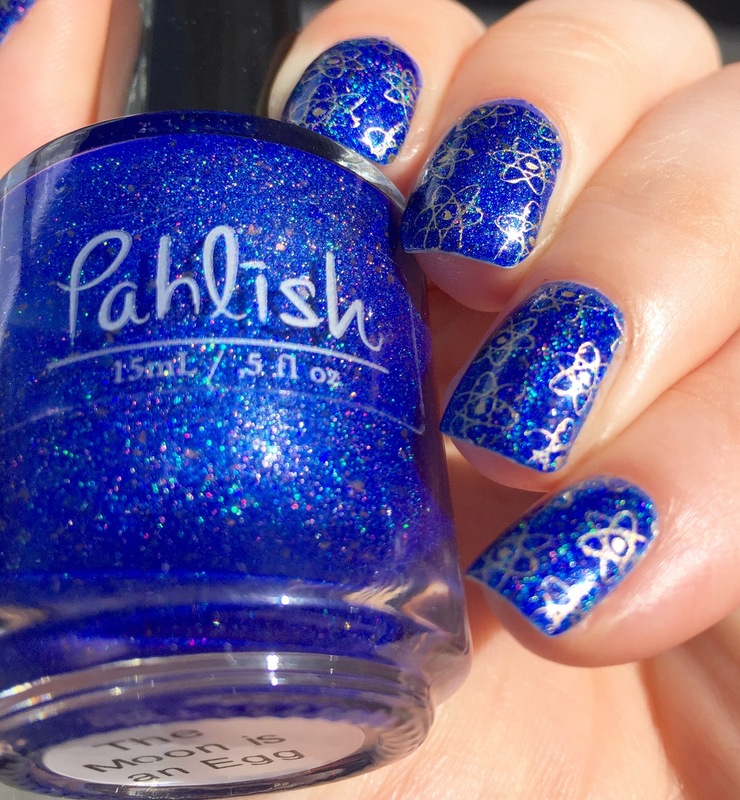 This this look, I started with Pahlish “The Moon is an Egg,” a cobalt blue holo with gold flakes. My boyfriend helped pick out the stamping plate and color combo (thanks!). 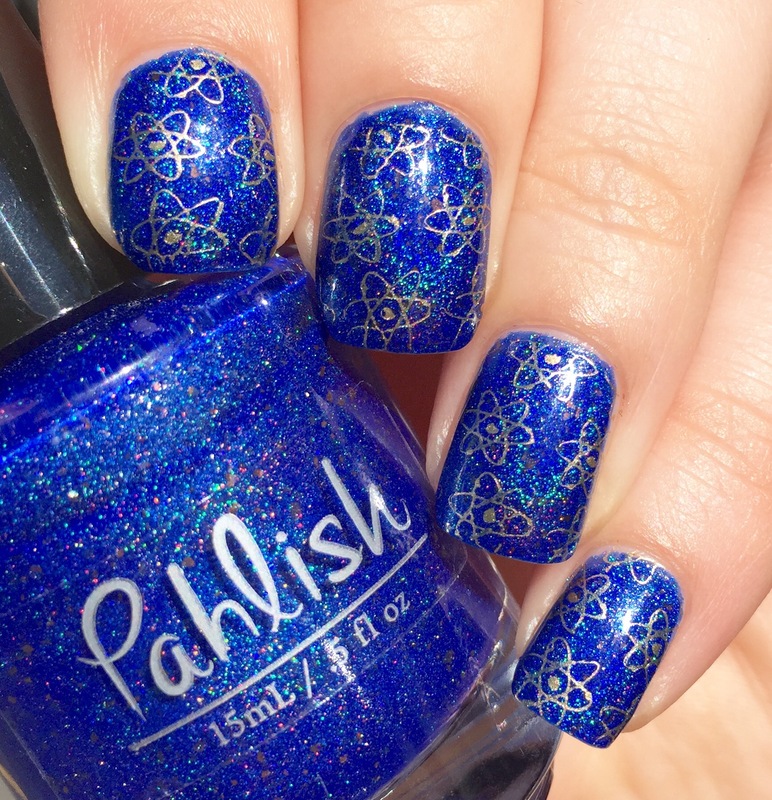 I have reviewed this polish before, if you’re interested in checking that out! I used Maybelline Color Show “Bold Gold” to stamp. I know a lot of people swear by this polish for stamping, but I don’t think it was doing me any favors. I really need to get some legit stamping polishes. Any suggestions for things I can actually get my hands on? 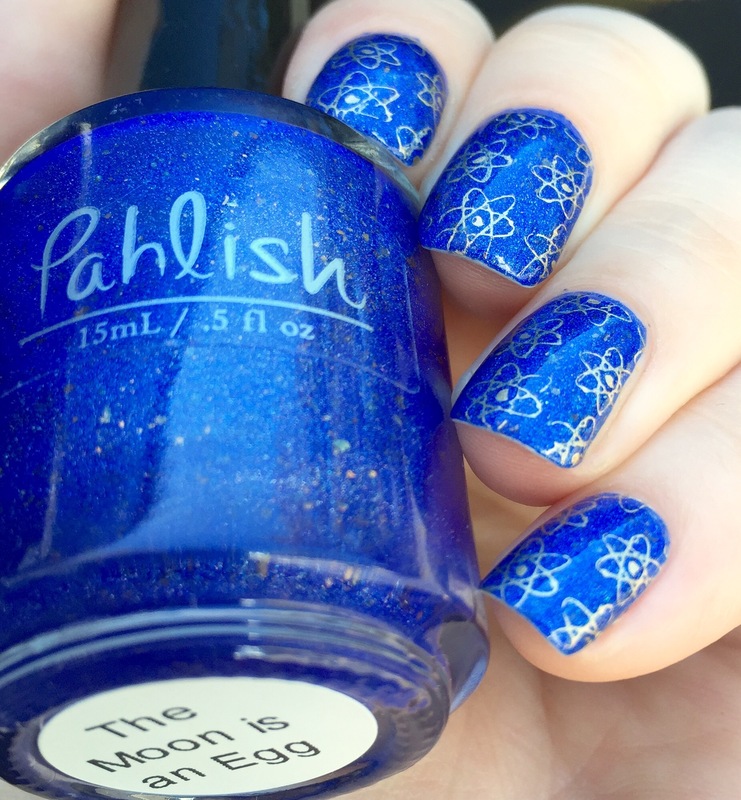 The cute atomic design is from a MoYou London stamping plate, Sci-Fi 8. I’ve noticed that these plates are starting to feel small now that my nails are longer. What do you think? 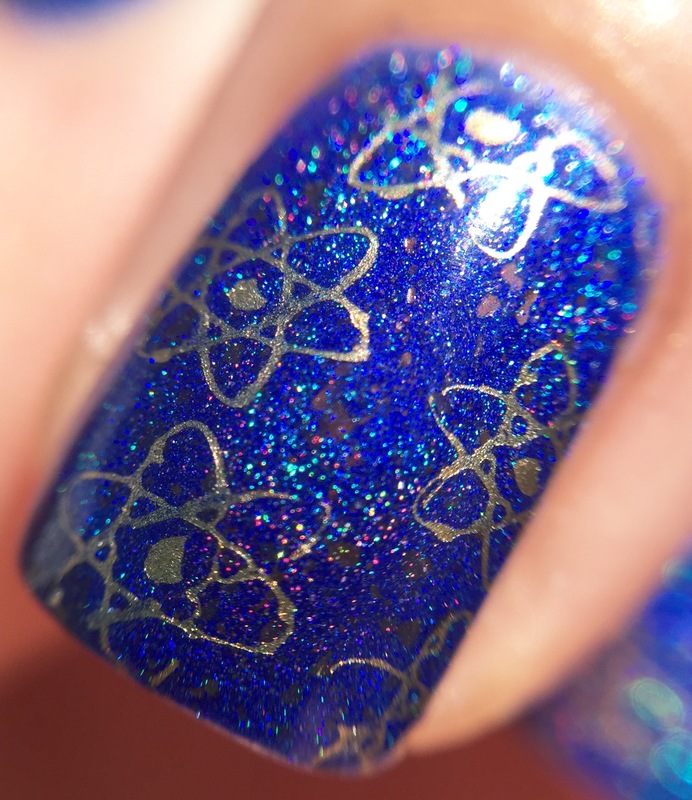 I think that my stamping still needs some work, but these nails have me feeling like Ernest Rutherford! ok, this is my favorite manicure of yours so far. Oh! I love the atoms! This is so cute! I need to pick up stamping polishes myself, and I keep hearing Mentality polishes are great for stamping. I love the atoms. The blue is gorgeous. That stamp came out perfect. 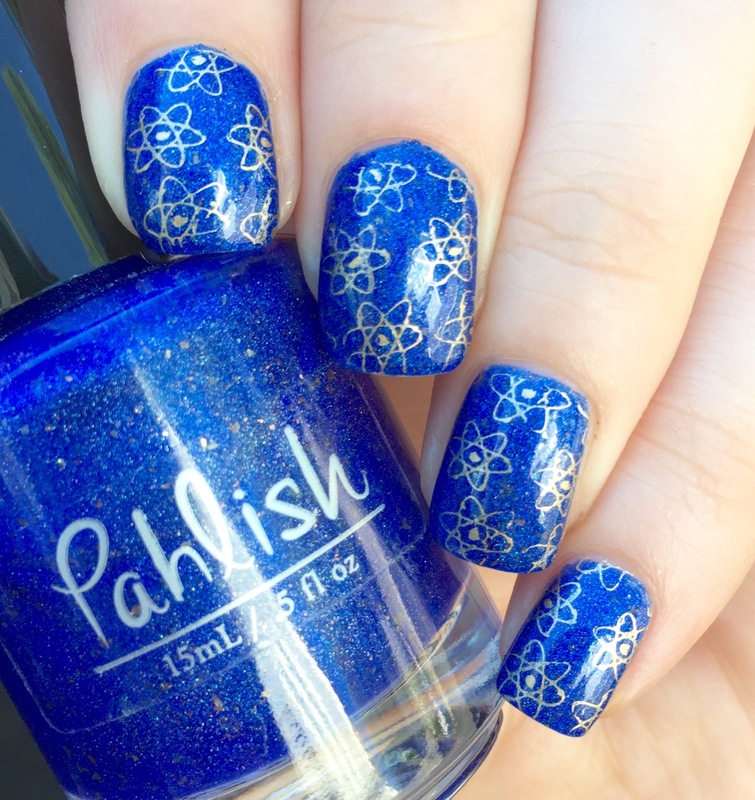 Perfect combo of polish and plate! Beautiful manicure! I know Maybelline released 2 version of Bold Gold. The first one stamps much better. It doesn’t have the little ‘Holographic” on the label. The first version says ‘metallics” instead. I love these colors together!!!! Beautiful! 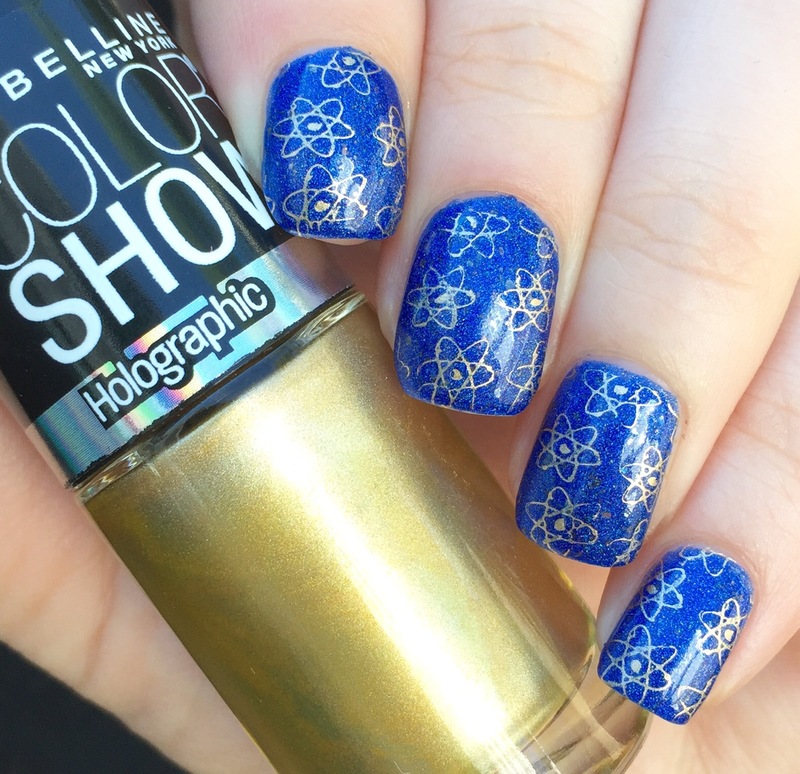 That stamp matches the color perfectly…great mani!